In addition to working with clients individually and speaking at writing conferences, we’re also offering video courses on Writing for Children! 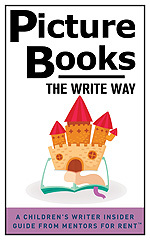 We’re excited to offer this affordable option for children’s writers. Writer in Progress: 30 Days in the Life of a Children’s Writer is your chance to peek over the shoulder of Laura as she goes through 30 typical workdays (well, as typical as a writer’s days can be) and shares her struggles and rewards through video and written journal entries. Write More, Write Now is Laura’s FREE course to help you find more writing time and make the time you do have more focused and productive. Picture Book Fixes (A) explores five common problems of picture book manuscripts (it’s really a short story; it’s not kid-friendly; it’s too quiet; it’s nostalgic; it’s not a great read-aloud). Laura defines each problem and offers solutions. Picture Book Fixes (B) explores five more common problems of picture book manuscripts (too long; lack of focus; ineffective point of view; it’s been done before; it won’t support enough illustrations). Laura defines each problem and offers solutions. Children’s Books & CreateSpace – Have you been wondering about whether or not you should self publish (also called indie publishing) your book for children? There’s no one right answer to this question. It depends a lot on your own goals, your experience, and your skills. So here are Laura’s best tips, stories, experiences, and advice about self publishing using CreateSpace, a paperback print on demand service through Amazon. If you’re trying to figure out whether indie publishing is a good fit, then this is the video course to help you decide.